How big is this photo? So big that just by taking it, astronomers found over 50,000 new stars and other bright space objects. 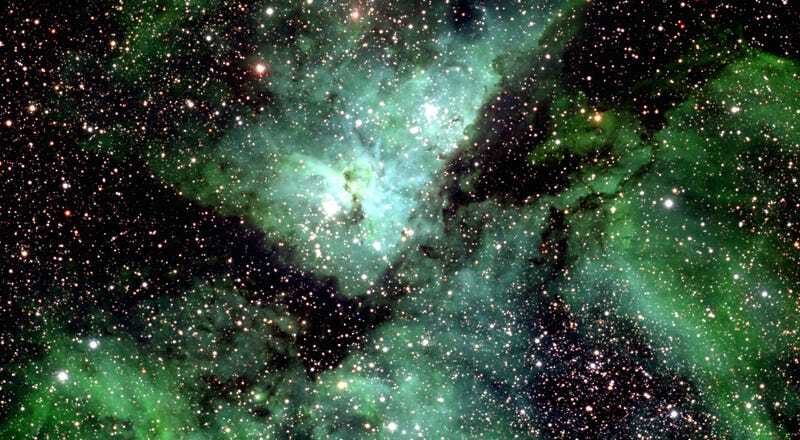 The entire resulting image was so large, that the photo could only be released in sections, like the section showing Eta Carinae above. When put together in its full form, the photo revealed several previously unseen objects in our galaxy. In fact, the 50,000 new bright objects are so new that, though researchers think a lot of them are probably stars, they’re not sure yet. Some of them could be whole star systems or other exceptionally bright space bodies.